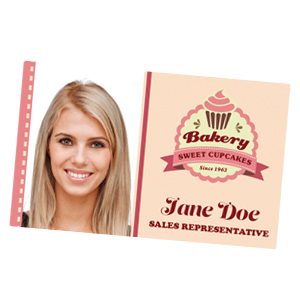 We have a team waiting to design your staff ID cards with your company logo and colours. 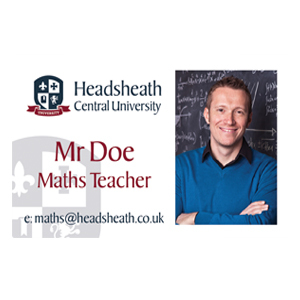 If you would like to design your own staff ID card feel free to download one of our templates for inspiration. 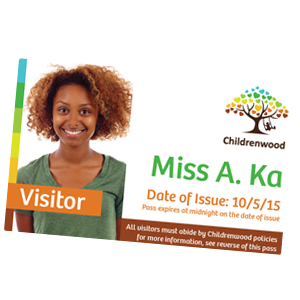 We use the latest technology when producing your ID cards, depending on the design and the quantity of cards you require we will use different production methods. 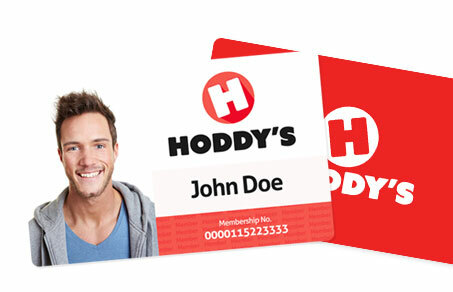 We use both High Definition Retransfer Printers and Direct-to-Card PVC Card printers. We have various options available for enhancing the security of your identification card, whether that be over-laminating with a secure hologram, printing over with UV or providing a unique identifier which the general public can enter to verify the identification is official and still valid. Did you know you can purchase a plastic ID printer from £488, produce full colour secure cards in seconds. 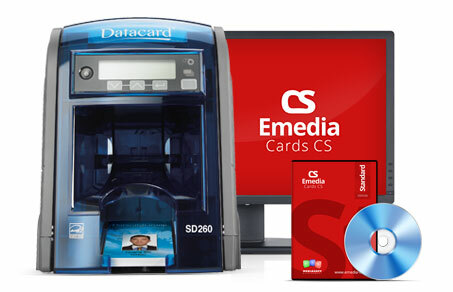 Click here to view our full range of ID card printers. Why Choose Lesar UK To Produce Your Staff ID Cards? 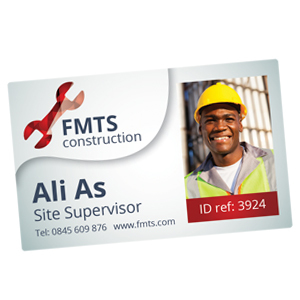 We have been providing Staff ID Cards for over 15 years now to industry sectors all over the UK, such as the NHS organisation, schools, colleges, and business owners.Staff Identification Cards are becoming a standard for most business owners due to fraudulent crimes taken place over the years, our printing service makes it easier for you to issue your staff with full colour. 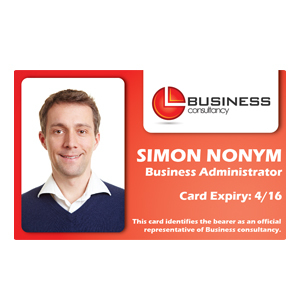 Send us your logo and a brief as to what information you would like to display on the staff ID cards, we will the provide you a proof of your card by email to which you can tweak and amend as required. 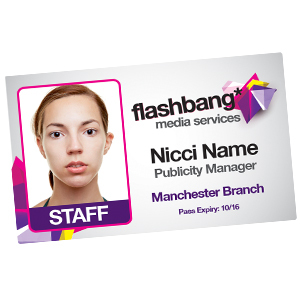 After designing your staff ID card it's time to upload your data to our shared file facility, once everything has been agreed we will send you a link to which you upload your data and we move onto the next step. Once everything has been designed and uploaded it's time to move on to our print process, your cards are scheduled and usually printed with 3 - 5 working days, however in most cases we print and send out cards in 2 working days. We also offer lanyards to hold your ID cards. Please call us for more information about our lanyards. Very speedy service and easy to use website! Very pleased with the service received. Very happy with the service and the speedy turnaround of our ID cards. It was a real pleasure working with Lesar. Very professional, lovely designs and a good quality end products. I would recommend their services to everybody. Really pleased with both the product and service received. Although it is actually easy to load the data on the system I was not familiar with it - a "help" email to Helen & Eleanor resulted in a swift response with the help I needed. They even checked all was ok. Speedy delivery - delighted with everything. Second order placed. From start to finish the process couldn't have been made easier for us. Nothing was too much trouble for Lee and Jordan to get us exactly what we envisaged and it was all completed with great efficiency, very quickly and at a reasonable cost. 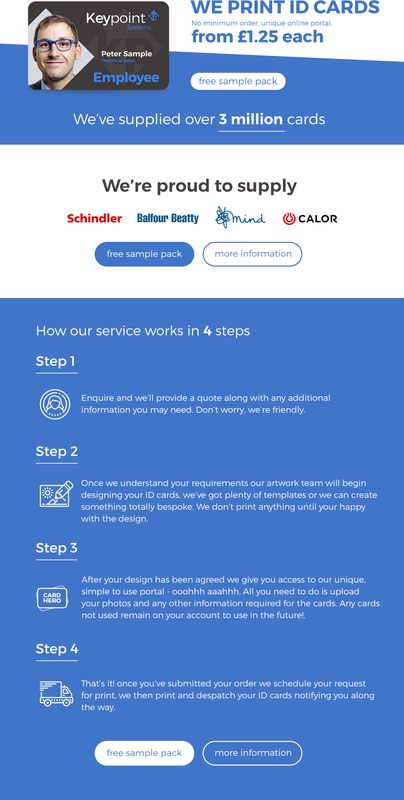 Good old fashioned customer care at every stage of the process coupled with an easy to use website. A winning combination. I certainly wouldn't consider going anywhere else for the next order. I know that when I get in touch with Lesar my issue will be sorted by any one of their helpful employees. If they can go the extra mile to help I know that they will. I would happily recommend their service and product. From the first email to Lesar Chris and Jordan have been very helpful, they took us through the whole procedure and it was an easy process to follow. The ID cards arrived first thing the next day and were well presented. From all the team at Energy Facilities UK Limited we would like to thank you for the excellent service we received and a lot more is coming your way in the near future. Colleagues of Lesar are friendly and very efficient with our requests. ID cards were dispatched exceptionally quick at such a short notice. Any errors that occurred were rectified quickly. Would definitely recommend Lesar. Really good quality products, we are delighted with the service, quality and speed of service, we will definitely continue to use them.